Just got back from a party and it was fun. There were about a dozen of us. We had vino and lasagna for dinner. Champaign for New Years. Woo Hoo. Calm but fun evening/night. I am currently working on a project which will allow users to register their Wi-Fi enabled, non-web browser enabled, devices on the network. These are devices like printers, Apple TV, and Xbox*. One of the data points that have to be collected from the user is the device MAC address. The project customer wants that address to be properly formatted when they see it in the support ticket. We have several options. We can format the address either on the back-end after the form has been submitted. Or we can format it on the front end via a separate text field for each character pair, but that is too many fields to handle. A better solution is to use a single field and format the user input at the time of input or upon submit. In those cases, the former is better because the data will already be formatted when the overall form input is being validation after the user clicks the “Submit” button. How to setup Coda 2 to push to GitHub? 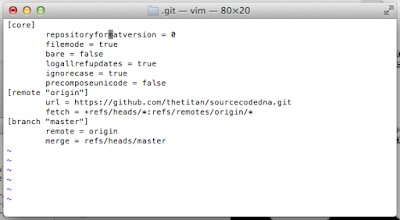 git push failed remote: Remote anonymous access to repository deniedgit push origin master Username: fatal: Could not read passwordThe GitHub repository address I am going to use is that of Source Code DNA: https://github.com/thetitan/sourcecodedna.git. I will assume that you have already setup your Coda 2 site profile and cloned your repository, you have made some changes, and now you are ready to push those changes to your projects GitHub repo. I was on the Snooz Kickstarter page today, revisiting the project’s details and timeline progress. 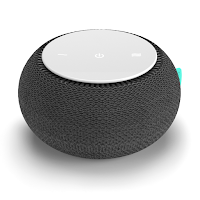 The device, which is a white-noise generating machine, recently became available for pre-order. Snooz is meant to be an alternative to having a TV or a stationary fan running at bed time. In my case, I bought it for my wife so we can get the TV out of the bedroom. I must disagree. If you take a look at the original design, which is all plastic and no style, I must say it is fugly. It is all utilitarian - not something I rally want to look at or see when I walk into the room. The final design, seen on the right, is something that beacons to be explored, looked at, utilized.